1.1 Mosaic Weighted Blanket Review – How Does It All Work? 1.4 Mosaic: How Effective Is it? Mosaic blankets develop products that can definitely help you sleep better. It’s a renowned company that aims to relieve anxiety and at the same time, alleviate sleeping problems. The company started when the owner and maker of Mosaic blankets wanted something to calm her system and help her sleep better. With the health benefits of heavy blankets, she introduced them as a means for people to have better sleep, overcome anxiety and help children suffering from autism too. I ordered my Mosaic Weighted Blanket and I couldn’t wait to try it out. Honestly, the results were amazing because the comforter is made of high-quality materials, comfortable, and artistically made. In fact, I noticed that my insomnia symptoms were relieved after the first night’s sleep. Please read on to find out more about this amazing product, how it helps you sleep better, and my final words after the review. Mosaic Weighted Blanket Review – How Does It All Work? Weighted comforters are very popular today because of its numerous benefits. 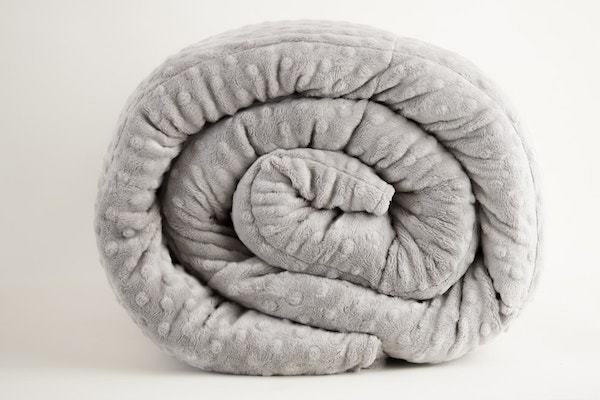 Well, before actually using it, I spent some time to research what are the health benefits of a weighted blanket and how will this Magic Blanket review shape. Apparently, these blankets are popular for a reason. Today, lots of people suffer from a number of mental health issues like anxiety, depression, and phobias. With these comes sleeping problems that negatively impact the person’s quality of life. 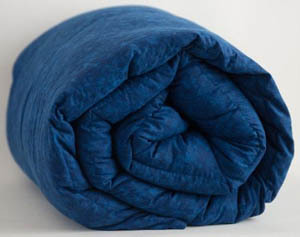 Heavy blankets provide comfort, making sleeping faster and better. So, what’ the science behind these blankets? Many studies have shown that it’s actually deep touch pressure (DTP) that gives weighted blankets their sleeping pill power. Deep touch pressure helps the body relax in many ways. It boosts the secretion and levels of serotonin, a feel-good hormone, which relaxes the mind and body. Thus, many disorders that involve low levels of this neurotransmitter can benefit from weighted blankets. Plus, weighted blankets act as a firm hug or as if you’re inside a mom’s womb – safe and secure. These feelings will help you calm down, eventually sleeping better than ever. Aside from that, when there are high levels of serotonin, the body naturally increases melatonin levels. It’s a vital hormone that controls the body’s internal clock or the circadian rhythm, which tells the body when to sleep or wake up. People with certain disorders can benefit significantly by using Mosaic products. These include sensory disorders, sleep disorders, insomnia, attention deficit hyperactivity disorder (ADHD), Asperger’s disorder, autism spectrum disorder, restless leg syndrome, anxiety, panic attacks, and stress, among others. The Mosaic comes in various sizes to accommodate the needs of a wide range of clients. The sizes are similar to conventional sizes of a king, queen, and twin. The size ranges from 5 pounds to 20 pounds, depending on your needs and weight. What I like about the company’s sizing is that they have sizes for kids, which can help many with their sleeping problems. Many autism patients are children and adolescents, so having a size that best suits them is a nice move for the company. Also, the website offers a chart for its sizes. Children should pick a cover which is 10 percent of their weight plus about 1 to 2 pounds more. On the other hand, adults should pick a product that is 10 percent of his or her weight. Today, handcrafted products are in high demand. Mosaic is exactly what most of you are looking for – high-quality, non-toxic, made by hand with love. The good thing is, there are lots of fabrics and materials to choose from. Well, for artistically-inclined people like me or those who find comfort using colorful materials, this Mosaic is perfect. Another plus point for the Mosaic Blanket is that it’s designed for all seasons. 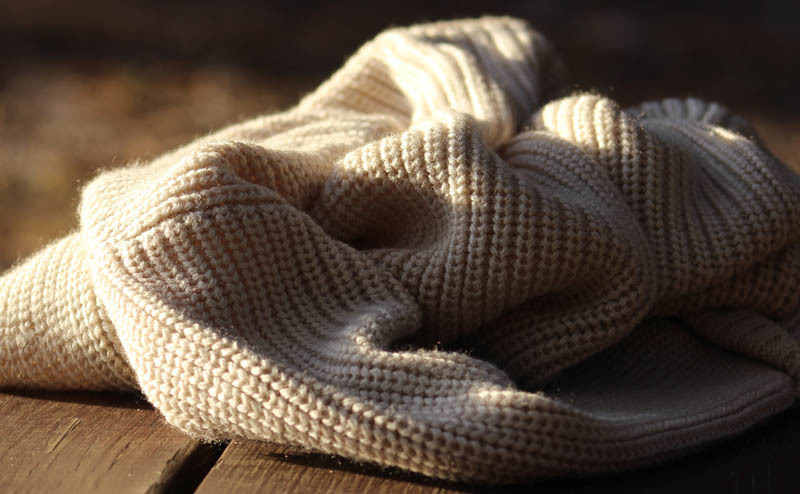 I can use it any time of the year because it’s comfortable without trapping excess heat. I can use it during the summer season or even during the cold winter. Lastly, it is made with quality materials – this means 100 percent cotton fabric plus non-toxic plastic pellets unlike some of the blankets we got on our top comparison list. Mosaic: How Effective Is it? I used the Mosaic Weighted Blanket for about two weeks before I wanted to make a review. But, to tell you honestly, within just days of using it, I had the best nap of my life. I suffered from insomnia for years now, and the blanket has helped me sleep faster and better. The next day, I felt refreshed, unlike the years back when I suffered from insomnia. I always felt groggy, lazy, and I had daytime sleepiness, affecting my work performance. Now, I feel more energized to wake up and start my day. The price of the weighted blanket depends on the type of blanket you’ll purchase. For instance, for its classical or contemporary style, the price ranges from $134 to $144 for smaller and lighter sizes. For bigger ones, it can be as high as $224. Well, the price doesn’t change much for other variations like the colorful, luxurious, and modern types. Compared to other weighted blankets, the company’s price is reasonable. However, other people might find it expensive for a blanket. I am telling you, it’s worth it, especially for those who find it hard to sleep at night. Weighted blankets provide quality sleep and relaxation for people with conditions such as ADHD, autism, insomnia, anxiety, and other mental health problems. How did I find the Mosaic Weighted Blanket review? It’s worth buying this year! If you need the feeling of security and being hugged, this is the right blanket for you. It’s well-made and has a variety of beautiful fabrics to choose from. After a couple of weeks using the blanket, I can say that it can really help people sleep better, whether or not you suffer from sleep problems. For people who are suffering from lack of sleep and nights of anxiety, this product is a must-buy. I noticed that I felt more rejuvenated and refreshed every morning upon waking up. Definitely, the Mosaic Weighted Blanket is an effective way to ease panic attacks, relax the mind and body, and help people feel secure and grounded. Just make sure you order the right size, depending on your weight and preference. Overall, it’s highly recommended! Not impressed? Check out our weighted blankets reviews and see if you like another one on our main page!